Penn State University Press, 9780271035444, 207pp. 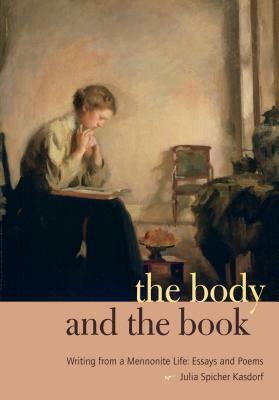 Now in paperback, and with a new preface, Julia Kasdorf's The Body and the Book: Writing from a Mennonite Life investigates the often difficult relationships among writing, community, and belief. In the ten essays collected here--presented in relation to poetry as well as photographs and other illustrations--Kasdorf draws on family stories, historical documentation, and her own experiences to examine aspects of Mennonite life and explore a variety of themes, including gender, community, silence, place, identity, and the body. Julia Spicher Kasdorf grew up in Westmoreland, Pennsylvania. She is the author of two collections of poems, Sleeping Preacher (1992) and Eve's Striptease (1998), and a biography, Fixing Tradition: Joseph W. Yoder, Amish American (2002). She is the coeditor, with Joshuah Brown, of Yoder's 1940 classic Rosanna of the Amish (2008), and, with Michael Tyrell, of a poetry anthology, Broken Land: Poems of Brooklyn (2007).Steven Rubin is Associate Professor of Art, specializing in photography, at Penn State University.